Many of us are looking forward to making money online (even me, I don’t think that I earn enough money, but I am doing to best to get better in earning money over Internet). Depending on our likes, we choose in between the methods of earning money online from home. I have tried almost all ways of working from home, and as far as I have entered college again, I can’t really spend that much time on my Internet work, as I used to. But I consider Internet blogging to be very profitable (even if your main revenue stream is Google Adsense). You can make good money blogging with Google Adsense, but usually we are looking for more techniques or websites, which will help us to get top revenue from our blogs or websites (and even Twitter pages). So today I have received an email from Likaholix.com administrators (the website I have been talking about not that long ago, which was in beta stage – just to remind, check out Likaholix.com review). Anyways, so now this website has come through the beta testing and they have finally launched their advertising program called Mylikes.com. 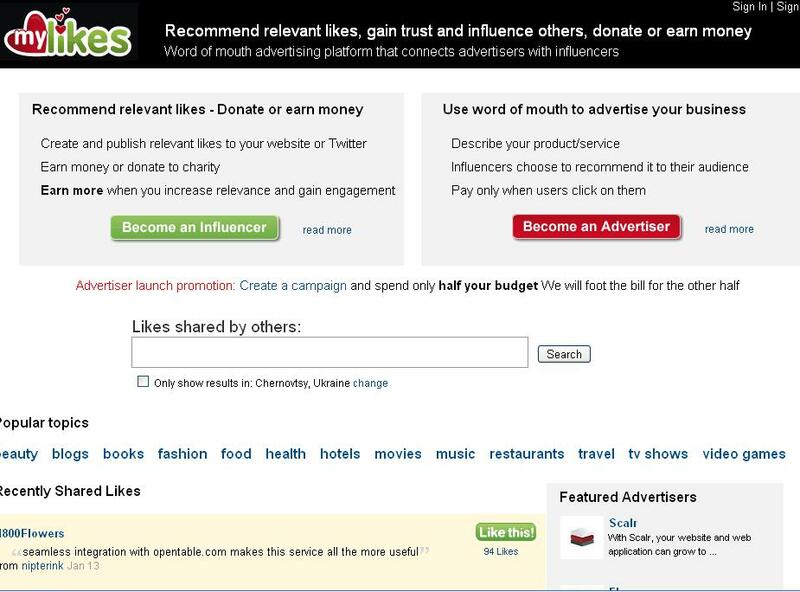 Mylikes has taken the new concept of advertising – you choose which ads to place on your websites (this means that you recommend your users the sponsored ads, the sponsored ads you have pre-screened). So this concept gives you the chance to target your audience better (which can give you higher CTR and more money for sure). I have registered with this website just now, and I see that they offer rates – $0.2-$0.8 per click, which is really cool (according to what I am making right now). When you register here, you will pick the niches your blog or website could be placed in and go to the list of advertisers. Advertisers supply you with the short description of the ad, price per every click made and countries for clicks from which you will be paid (or not, or receive lower/higher rates). I will be trying this website out and will tell you more how it goes, but from what I see so far – it is a great place to earn some extra money by placing ads on your websites. Earning with Kontera is another good solution I will tell you more about later. It’s a pretty new website, and don’t many people use it, yet. But I am sure that sooner or later it will find its loyal members and people would create forums based on Mylikes and will share their experience or earning techniques. 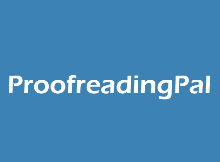 They pay their publishers once a week via Paypal which is really fast and convenient. They also have a great deal of advertisers with high PPC rate. However, their ads are not optimized like Google Adsense. I have been using MyLikes for a while, and already received two payouts. I have never tried any of the services, but it sounds like something I should definitively test. But one question for you, does the tweet say that it’s sponsored? I am trying MyLikes but there are never any campaigns. It is rather confusing to me, as I have no idea what I am supposed to be advertising if there is nothing there! Any suggestions? Thanks! Well, maybe their are looking for super-mega-awesome websites. Neither of my projects were getting any advertisers at MyLikes, but I did see their widget on popular blogs, so I don’t really know, I wish I had a high traffic website. Don’t know the how to promote it. I stop mylikes already. But they paid me twice. Thanks again. I wouldn’t bother with MyLikes. Most advertisers pay pennies a click and if you do end up earning a few bucks an advertiser will just disapprove your ad and you are back to zero dollars.